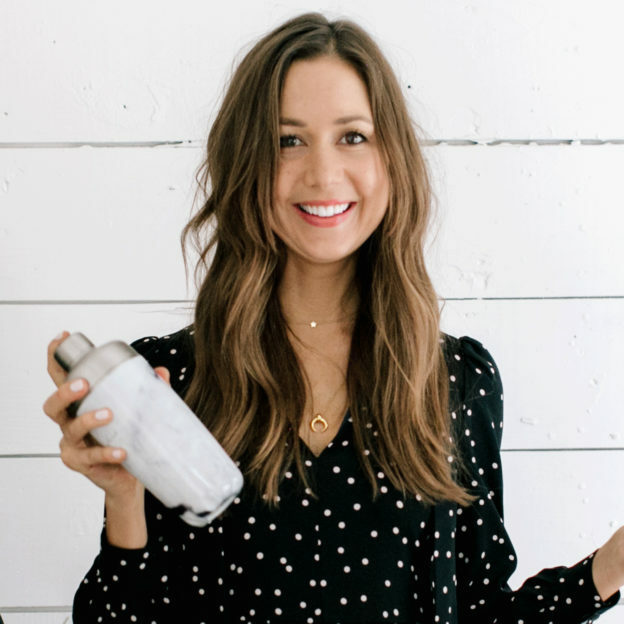 For lifestyle blogger Camille Styles, gift-giving is a true passion. 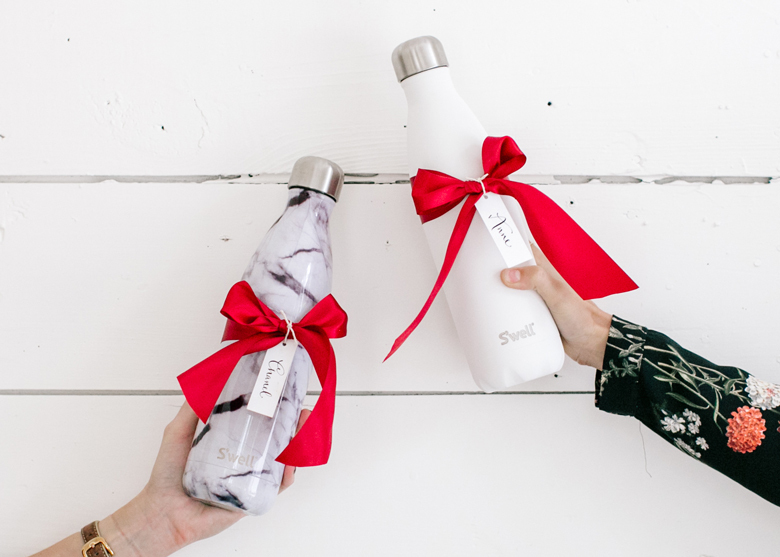 She likes to make sure every gift adds joy or function (or both) to the life of the recipient, and that it adds zero stress. 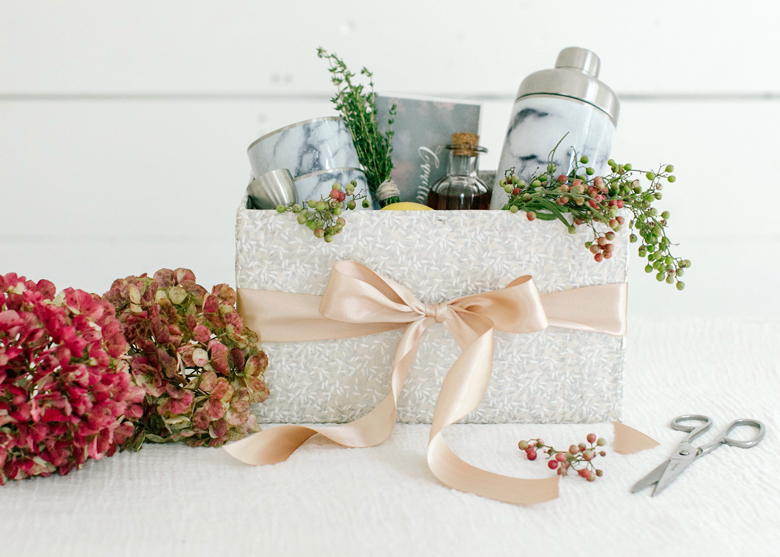 This season, she’s checking both these boxes with the ultimate hostess gift from S’well, complete with some very festive extras. Read on to see how she’s giving S’well this holiday. 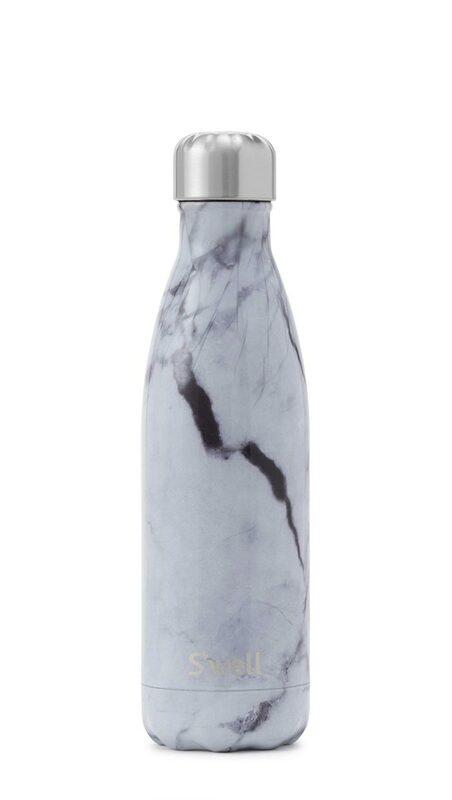 CS: I’ve been a S’well fan girl since day 1, and have owned countless versions of the brand’s signature reusable insulated water bottles. 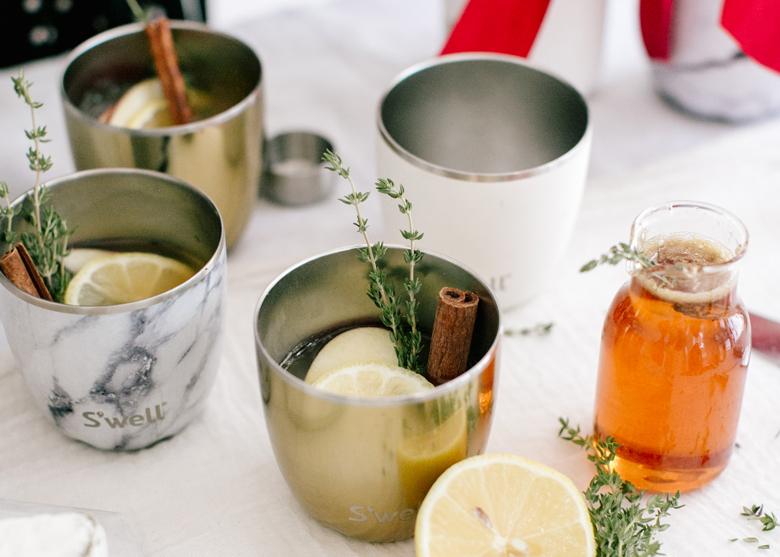 Their pretty colors and patterns have made them a go-to gift pick for me for years, and now that they’re making equally beautiful cocktail kits, S’well remains our first choice this holiday season. 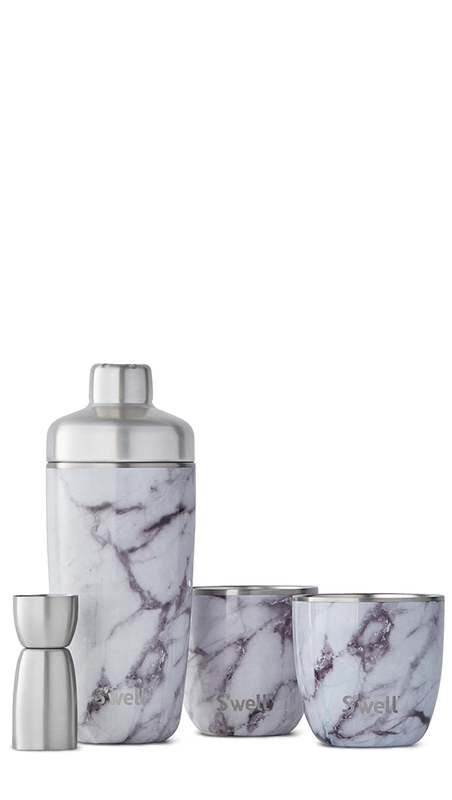 Here, we packed up the white marble cocktail shaker, jigger and tumblers with a few other ingredients to make the ultimate hostess gift. With it, your holiday hostess will have everything she needs to make and serve this spiced seasonal whiskey cocktail. Yum! 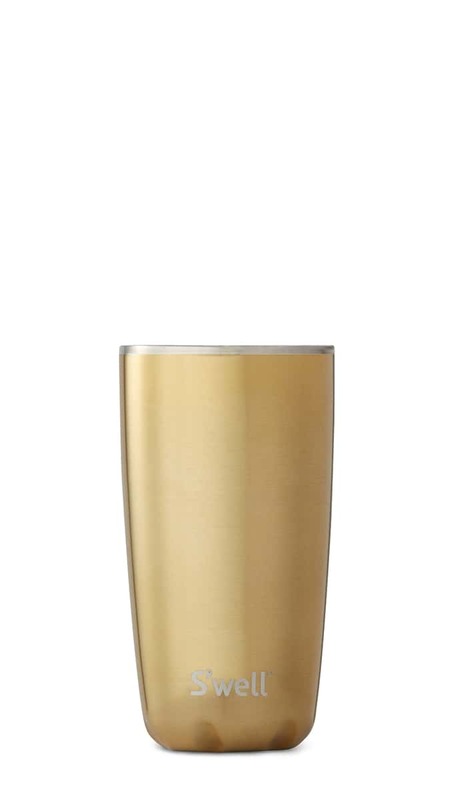 CS: These pretty tumblers are an entertaining life-saver. That insulation means your cider will be kept piping hot and your cocktails ice cold all night long. 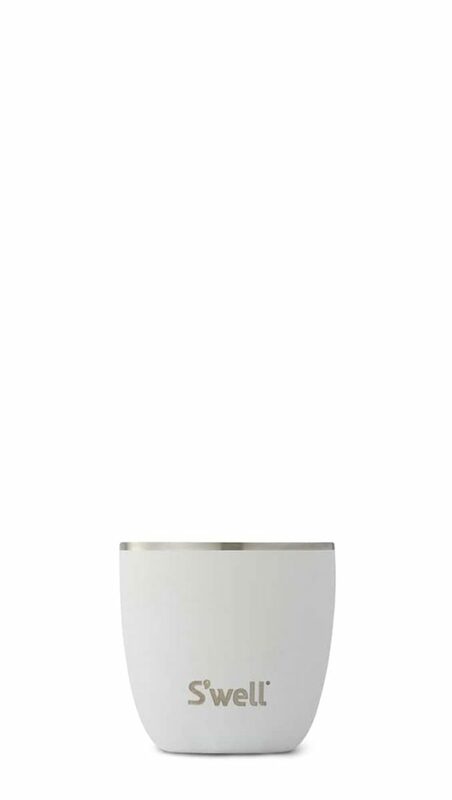 CS: And for the ultimate party favor (or stocking stuffer! or white elephant gift! 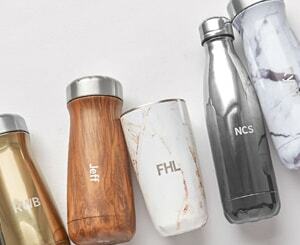 ), you can’t go wrong with S’well’s original bottle. Just put a bow on it and voila! Holiday gifting done and done. 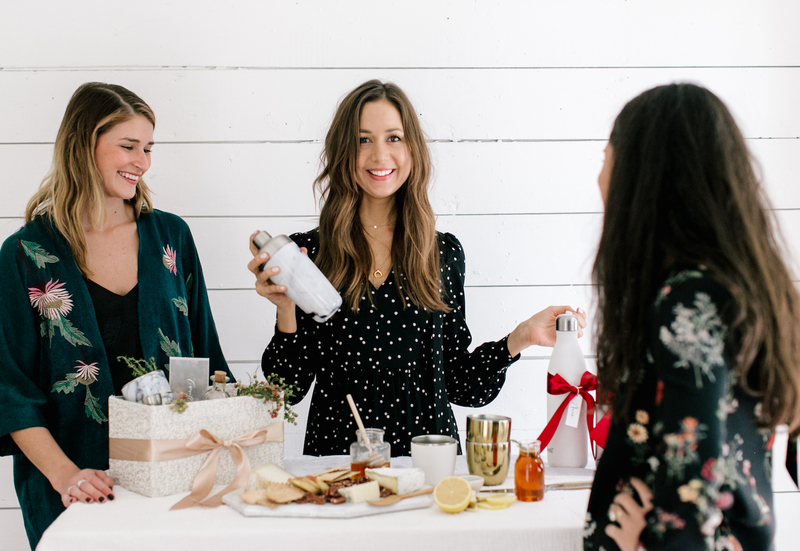 For more holiday tips and entertaining ideas head to Camille’s blog or follow her on Instagram.